Researchers at Washington DC-based Children’s National Health System have made great strides in robotic surgery. For the first time ever, the team from Sheikh Zayed Institute for Pediatric Surgical Innovation has successfully conducted autonomous robotic soft tissue surgery on a living subject in a standard open surgical setting. According to them, such an approach is not only feasible, but is actually more efficient than conventional clinical techniques. Our results demonstrate the potential for autonomous robots to improve the efficacy, consistency, functional outcome and accessibility of surgical techniques. The intent of this demonstration is not to replace surgeons, but to expand human capacity and capability through enhanced vision, dexterity and complementary machine intelligence for improved surgical outcomes. Soft tissues are basically the tissues that are responsible for connecting, supporting and surrounding other tissues, organs and structures in the body, including tendons, fascia, ligaments, muscles, nerves, fibrous tissue, blood vessels and capillaries, fat, synovial membranes and so on. Every year, over 44.5 million soft tissue surgeries are performed in the United States alone. 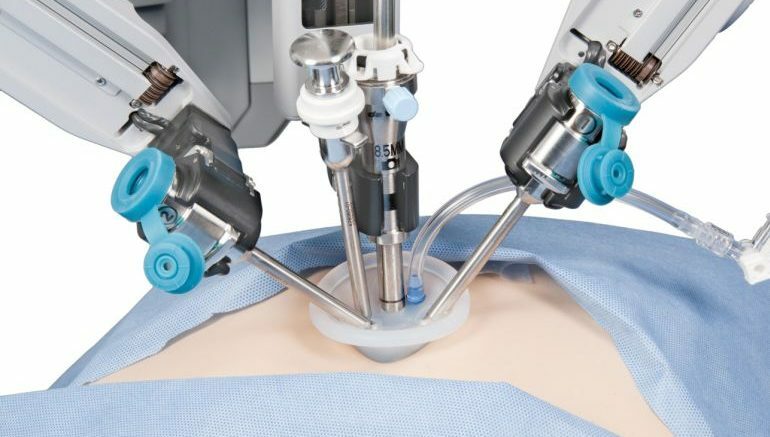 Although robot-assisted surgery (or RAS) has become increasingly common these days, hospitals still rely on manual methods for the execution of soft tissue surgeries, mainly because of the plastic and elastic deformations that the tissues continually go through, making surgery quite unpredictable. To that end, the STAR system uses a highly-specialized tracking technology, based on near infrared florescent (NIRF) markers and advanced 3D plenoptic vision, which generates detailed images of every scene in three dimensions. Furthermore, the tracking system accurately records and reports tissue motion and changes taking place during the surgical procedure. Equipped with an intelligent algorithm, the technology automatically guides the surgical plan, keeping room for real-time adjustments in response to sudden movements and deformations of the soft tissues. 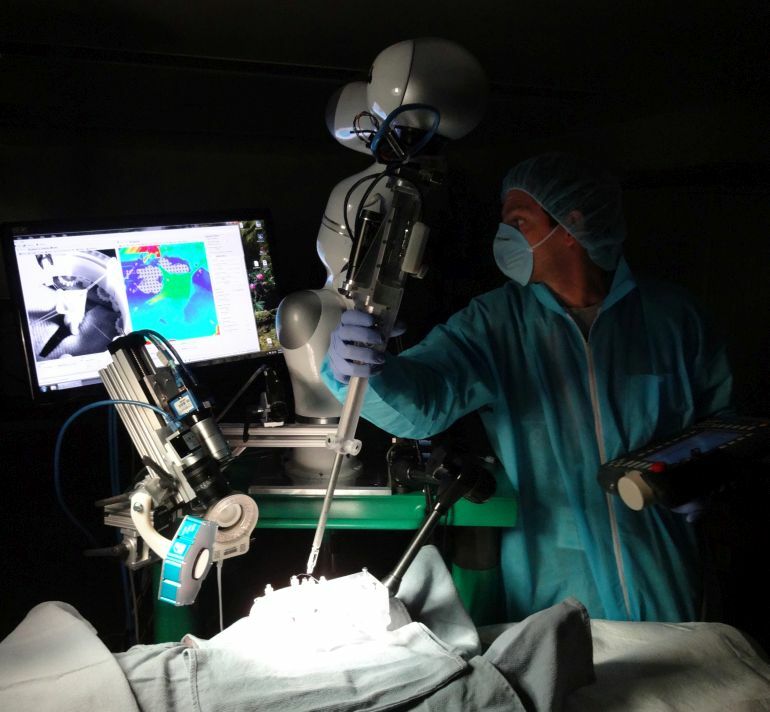 Until now, autonomous robot surgery has been limited to applications with rigid anatomy, such as bone cutting, because they are more predictable. By using novel tissue tracking and applied force measurement, coupled with suture automation software, our robotic system can detect arbitrary tissue motions in real time and automatically adjust. To check the efficacy of the new technology, especially in comparison to currently-available surgical techniques, the scientists conducted two different surgeries on inanimate pig tissue (ex vivo): end-to-end intestinal anastomosis and linear suturing. Following that, the results were compared with the outcomes of the same surgery, when performed manually by a surgeon and also by RAS using daVinci Surgical System. We chose the complex task of anastomosis as proof of concept because this soft tissue surgery is performed over one million times in the U.S. annually. According to the group, the parameters of comparison included consistency and precision of suturing based on average suture spacing, pressure applied, numbers of mistakes that needed the needle to be removed from the tissues, time taken to complete the surgery and finally, lumen reduction, which allowed the team to locate any constriction in the anastomosis. As the team points out, analysis of the results revealed that, on the whole, STAR system actually outperformed the manual as well as RAS-based techniques, on both live subjects and inanimate porcine tissues. However, while the manually-performed surgery took only eight minutes to complete, the robot-executed procedure took a minimum of 35 minutes. This, according to the scientists, is comparable to clinical laparoscopic anastomosis, which is usually 30 to 90 minutes long, depending on the complexity of the procedure. The team is currently working on miniaturizing the tools as well as developing more efficient sensors, for wider and more extensive use of STAR. If everything goes according to plan, Dr. Kim believes the technology will be ready for clinical use in less than two years.